The short of the matter is that the "praline candy pieces" are the key to success here. They contribute to the flavor as well as adding some fun light crunch to every bite. Please don't think these are rocks and you should worry about them. They are very tiny and add more of a sugar crunch than say a hard pretzel crunch here. Besides the crunch, I think the pieces also help steer this blizzard towards more of a toffee flavor than a straight caramel flavor. Maybe the salt is helping as well, but their is definitely some pop to the overall flavor. The blondie pieces are fine. It's not like they provide any flavor burst, just a change in texture. Maybe their flavor just lines up with the overall flavor and that's why they don't stand out more. Either way, they are fine if unremarkable. 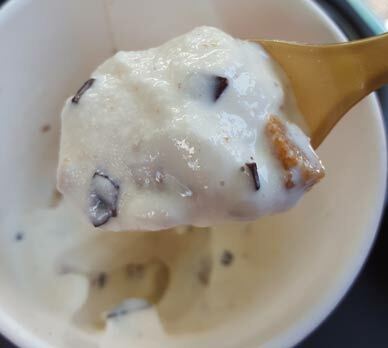 The choco chunks don't add much noticeable flavor either. That's about all I have on this one. A fairly unique flavor (for a blizzard) without being overpowering. Decent set of texture changes without being jarring. It's a shame there aren't some blondie crumbs mixed in as well to make this one a bit complex, but I still enjoyed it. I was slightly disappointed with this one. There didn't seem to be anything salty caramel about mine. The praline pieces were delicious but there weren't very many of them. The Dairy Queen was really busy so that may have affected the quality. I may try it again, but I am curious about the other special flavor so we'll see. I agree with you, I didn't taste any salty or caramel. @Unknown: you didn't taste salty caramel, or didnt taste salty or caramel? did you get crunchy bits at least? 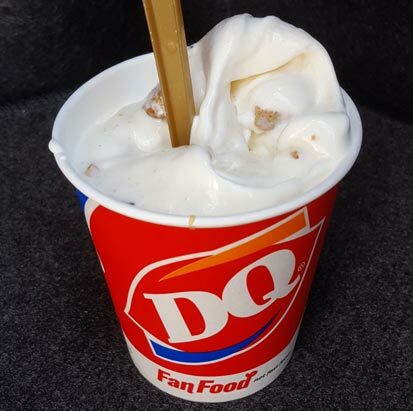 This is pretty much a toffee blizzard with a few blondie chunks tossed in. 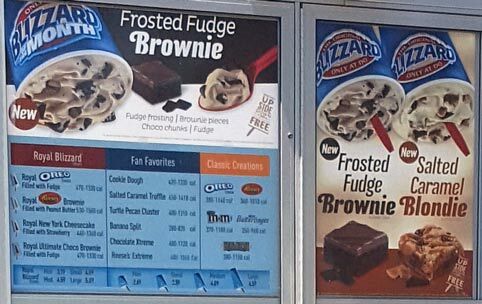 If I wanted a toffee blizzard I would've ordered one. No salted caramel taste to it at all. I wish all the mainstream ice creams in the grocery store would make a blondie flavor that didn't involve salted caramel, or maple syrup (as I don't care for either of those). Phin and Phebes had potential with Cookie butter Blondie, but wasted it but cheaping out on the blondies (plus they either stopped making it or my Walmart stopped carrying it. 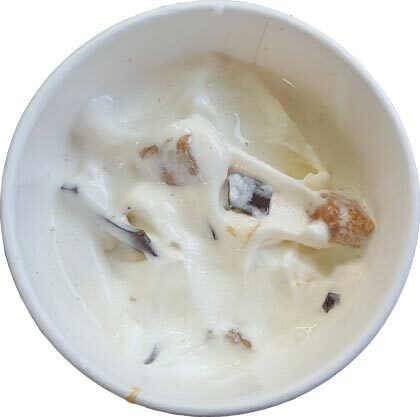 Have you reviewed a blondie filled ice cream with no salted caramel or maple?